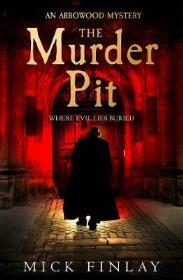 An avid reader, Stephen's knowledge of Crime Fiction is fairly extensive, with The Golden Age is his greatest interest. We are off again into Victorian London's underbelly with Mick Finlay’s colourful and intemperate William Arrowood on his second astounding adventure. It begins with a seemingly simple case of a missing person, Birdie Barclay a young bride with learning difficulties, who since going to live with her farmer husband has not been seen by her parents. Arrowood and his assistant Norman Barnett are asked by Mr & Mrs Barclay to find Birdie and bring her home. The bride and her husband live with his family on their farm in Catford, still a mostly rural and tight knit community just beginning to become a commuter town. So it is to Catford Arrowood and Barnett travel to try to contact Birdie. On the train journey there Arrowood reads of another case for Sherlock Holmes. A constant source of irritation to Arrowood is Mr Sherlock Holmes with his constant successes for the elite of society. If Mr Holmes is the Claridges of the private detective world then Arrowood is surely the local corner shop probably selling meat pies. The straightforward case begins to twist and turn with allegations of violent conduct by Birdie’s husband and gossip of children dying at the farm. An old tinker woman gives them a bit of information but the following day goes missing. The police refuse to help find her and tell Arrowood to leave Catford and not to return. Arrowood needs to get someone into the farmhouse to get him information on Birdie’s condition but who can he rely on? Are his clients to be trusted and why do they want their daughter back? Mr Finlay has a wonderful eye for those little details that bring the colour to our view. The portrayals of the poor and destitute citizens and their dreadful living conditions in this the wealthiest city in the Empire are vivid and alive. The more I read of Arrowood and Barnett the more I am drawn to their struggles to fight injustices against the ordinary poor of the great metropolis. They are a rum pair between them and not averse to a bit of breaking and entering to try to even up the odds a little that are so heavily stacked in favour of the establishment’s hierarchy. If you crave Victorian age murder mystery, love darkly gothic atmospheres and want your detective rather tattered and torn at the edges Arrowood is your man.